1. Were Haruka and Michiru Viewed as Lesbians in 1990s Japan? As someone who grew up watching Sailor Moon in English (first through the dub, then fansubs, then later official subs), my view of the series has always been colored by what the English-speaking fan community thought of the series. So for once, I really wanted to take a look at some articles written about Haruka and Michiru back when Sailor Moon S was still on the air, and see what Japanese fans thought about their relationship. Read also: What Is the Correct Spelling of Haruka's Last Name, Tenoh or Tenou? 2. 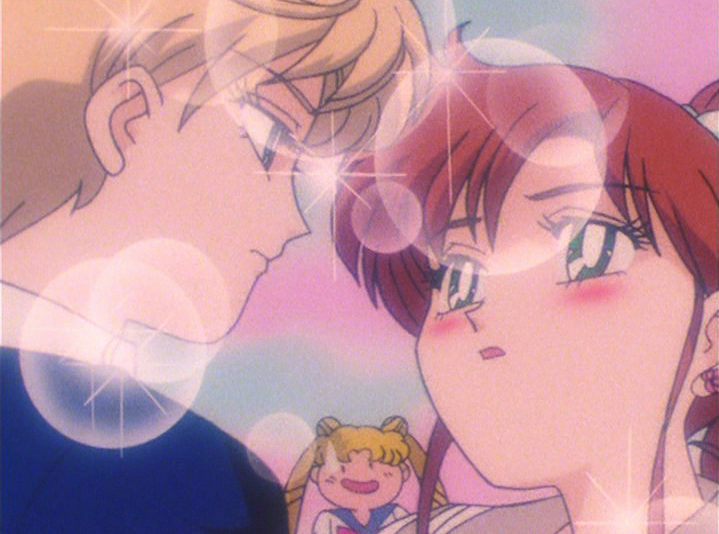 Did the Sailor Moon Anime Make Haruka More Masculine? Japanese pronouns and suffixes — the bane of every translator. And yet, they can tell us a lot about how a character views and expresses themselves. It’s hard to say whether the difference in pronoun choice between the anime and manga was a conscious choice by the writers or possibly even a preference expressed by her voice actress, Megumi Ogata, but it’s still a fascinating subject nonetheless! 3. Could Haruka Actually Be a Race Car Driver? Whether you’ve been told that Haruka owns an international driver’s license or that she’s secretly 18 years old (and yet somehow no one at Mugen Gakuen reads the newspaper? ), there’s a lot to unpack here regarding how Haruka is actually able to drive around Azabu-Juban despite her age. This article actually inspired me to research a companion article regarding Setsuna’s epic helicopter save, but somehow I didn’t think anyone (other than me) would be interested in the process to become a certified helicopter pilot in Japan. Anyone else out there…? 4. How Absurdly Expensive Was Haruka and Michiru’s Rent in Sailor Moon? This is another article that I loved writing just because, well, it was really fun to research. Of course I knew that Haruka and Michiru are insanely rich, but we never actually got much of a look at what their personal lives were like outside of a few quick scenes. So off I went to research Japanese apartments for rent to see just how much you could rent for around one million yen per month. Read also: Could Haruka Actually Be a Race Car Driver? 5. 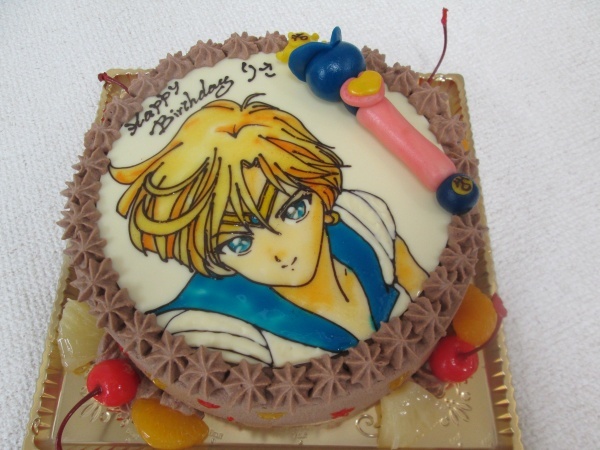 Why Didn’t Megumi Ogata Sing Sailor Uranus’ Song, Initial U? Megumi Ogata is not only a renowned singer, but also has been a pretty vocal advocate for all of her characters throughout the years. So what could possibly have come in the way between her and singing Haruka’s image song, Initial U? As it turns out, there have been rumblings for years in a small feud brewing between her and the lyricist who wrote the song. And who was that lyricist? A certain well-known manga artist named Naoko Takeuchi. Did you know it’s my birthday? Thank you, Haruka, for being so awesome and opening my eyes up to a whole new part of this series. And also for not being a stupid reincarnated prince. Personally speaking, I’d say that the manga action version of Haruka is probably my favorite, though it’s a really close call since the anime also did a pretty good job with the character, and all of the musicals were great at playing up on all of her quirks. If you have any questions you’d like me to look into about Haruka, I’d love to hear about it in the comments below! ← What Is Considered Canon In the Sailor Moon Universe? Admittedly, I didn’t watch beyond the Doom Tree arc of the DiC dub, but who died in the English version? Nephlite, Zoysite and Malachite all died in the Dic dub. Nephlite’s was left pretty gory like the original. Green oozy blood and all. What was funny to me upon rewatching some scenes is how Dic Morga screams “I shall return!” when she dies. Also, how much personality Thetis ( I think that’s her name)and a few other MotDs were given in that dub. In R, Rubeus dies in an explosion same as original. Sapphire and Diamond die, too. No resurrections or anything… but I believe Esmeraude was said to be cast into darkness when she is destroyed. Cloverway left any deaths intact with no mention of other dimensions and whatnot. All the Witches 5 and Kaorinite die. I’ll be honest, I wasn’t a fan of anime Haruka. She just felt unnecessarily mean, and as far as the role of last minute saviour goes, I thought Tuxedo Mask did it so much better, especially in the first arc, with his cordial manner despite his attempt at distancing himself leading him to become incredibly intriguing. Haruka and Michiru just felt one note by comparison, which may be due to them attempting to fill the trope of Tuxedo Mask rather than carving something more unique. I suppose it may also be due to the fact that I found the story telling if the first arc far more satisfying than any other arc, and that Tuxedo Mask’s connection to the Sailor Senshi, both in the present and the Silver Millenium, was handled so well, and was thrilling to watch unfold. My Haruka!! she and Michiru are the best girls!! I always get giddy with excitement every time they are on-screen. Love her and her relationship with Michiru. They are absolutely adorable together. Happy birthday Haruka!! <3 love your adorable cake, I want one for my birthday. I also want my very own replica of Haruka’s bada** space sword. Please!! Lastly, I hated the idea that Haruka and Michiru are cousins in the English dub, it makes me uncomfortable because it makes them look like incestous lovers. I stopped watching the English dub for that reason (other than Luna’s grandma-sounding voice and poor voice-acting in general). Japanese dub all the way. I have to disagree with the dub having bad voice acting, there were a few stinkers (Amy in S/SuperS) but most of the voices were amazing. The voice direction was often pretty bad, and the dialogue horrendous, but the acting itself was great. I prefer many of the Dic/Cloverway actors to the ones in the Viz dub by far, since they all had more personality, in my opinion and were actually distinct. Haruka and Michiru changed a lot of what I’d thought about homosexuality at the time. I was already aware of them being lovers before the Cloverway dub, so the cousin thing was easy to ignore except for some eye rolling dialogue.